James Bond is dead! Long live James Bond! IT IS official. Daniel Craig and Casino Royale have kicked the ageing franchise out of its comatose existence. But is the kick so strong that it marks the beginning of the end for James Bond? Only time will tell. Casino Royale takes us back to the beginning. James Bond (Craig) has just been promoted to ‘00’ status, he now has the license to kill. He celebrates it by blowing up a foreign embassy in Madagascar, breaking into his boss M’s residence and flying off to the Bahamas on the trail of an international terrorist financier. He then enters a very-high-stakes poker game at Casino Royale with the monetary aid of the British Treasury, whose agent Vesper Lynd (Green) makes it a bit difficult for him to concentrate on the game. Lethal Weapon . 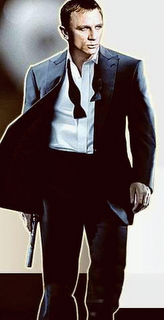 Bond does not bother about his attire and (gasp!) he couldn’t care if his martinis are shaken or stirred. In short, he is the most original of all the Bonds that followed the original. Eva Green displays a luminous presence, but her character is one-dimensional. Mads Mikkelsen is boring, while Judy Dench brings nothing new. The only other interesting person is professional parkour (freestyle running) star Sébastien Foucan, whose art is as amazing as it is unbelievable. Casino Royale is a very bold Bond movie. Credit should go to screenwriters Neal Purvis and Robert Wade, ‘script reworker’ Paul Haggis (Crash) and director Martin Campbell. Unfortunately, they chose the wrong story. How thrilling can you make a poker game? After an initial buildup, the entire second half is anti-climactic. For action seekers, James Bond may be more human, but he has lost the license to thrill. Casino Royale could end up being a critic’s delight and the common man’s poison. If the cash registers don’t ring enough, we know how the next Bond movie will be. Which is a shame, because this experiment deserves a longer innings.